Hi, my name is Shannon, I work for Tyrolit Australia. 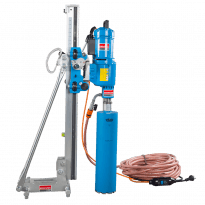 We specialise in core drilling, so if you are a pest control company, concrete cutter, plumber, and you need a core drilling equipment in a hurry, just head on down to your Kennards Hire store and you can hire these locally. Okay, so if you need any technical information, give us a call at Tyrolit and we can help you through. So, we have a range of motors here in these stands for various applications. If you need something to do small holes, large diameter holes, we can help you out. For any further information on products, head on down to your local Kennards Hire branch. 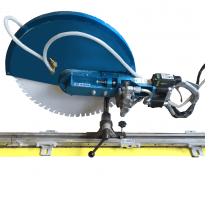 This demolition hand saw cuts depths up to 200mm in all types of material, including reinforced concrete, brick, asphalt and steel. Compact and light. 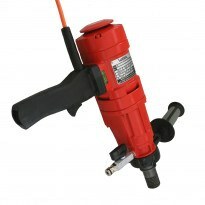 This 3 speed diamond core drill offers efficient drilling performance. 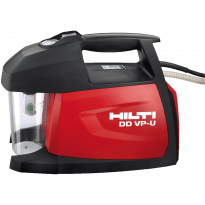 Drills between 40mm and 250mm in concrete, asphalt or sandstone. Overload clutch protects against mechanical overload while electric start system prevents excessive start current. 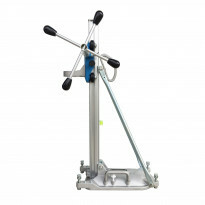 Drill stand for core drilling up to 150mm depth holes.